Asthma is one of the most common disorders affecting children. As many as 10 percent of children have some degree of asthma, and the number has been rising steadily since about 1980.1 Thankfully, advances in asthma diagnosis, treatment and prevention has dramatically improved life for these children. Today most children with properly managed asthma can lead a life unhindered by their disease. It shouldn’t hold them back from even the highest levels of athletic competition, as recent Olympic Gold Medals have shown. With proper education and medical management, it is possible to control this disease on a daily basis and prevent asthma attacks. Having said that, it is still a deadly disease. In 2009, 3,388 people died of asthma. A major cause of this mortality is improper use of inhalers.2 Too often, families are handed several inhalers and they never really understand the different functions and uses of each one. Asthma is a chronic lung disease characterized by tight airways — a result of airway inflammation and hyper-responsiveness. Our airways are designed to be responsive to harmful substances in the air. If we walk through clouds of smoke, our airways will shrink, protecting our delicate lung tissues from the noxious ingredients in the smoke. They should return to normal when we begin to breathe fresh air. People with asthma have an exaggerated tightening response. Different people with asthma respond to different “triggers.” Viral infections are the most common triggers in young children. Other triggers include smoke, animal dander, pollens, molds, house dust mites, fumes and fragrances, or cold air. When we exercise, we breathe rapidly and are unable to bring air temperature all the way up to 98.6 degrees — particularly if we breathe through the mouth. Thus, asthmatics who are sensitive to cold air will often wheeze with exercise. (Wheezing, the classic asthma symptom, is the noise made by air moving through these tight airways.) Because asthmatics respond differently to different triggers, their airways are tighter at some times than at others. Hyper-responsive airways tighten in three ways in response to triggers. First and most immediately, smooth muscle surrounding the airways constricts, narrowing the caliber of the airways. Second, the airways are narrowed by inflammation and swelling of the airway lining. This leads to the third component of airway narrowing, which is the accumulation of mucus and other fluids, which can plug the airways. The inflammation is the most important part of the disease. It perpetuates the cycle of airway narrowing. It also is the slowest to respond to treatment. The risk of getting asthma depends both on genetics3 and on the environment4. Asthma tends to run in families (along with eczema and hay fever). It is more common in premature infants and in those who have had RSV bronchiolitis5. Those who are obese are at much higher risk6. Although wheezing (a tight noise when breathing out) is the classic symptom of asthma, many children’s major symptom is a cough. The cough is nonproductive and often sounds tight. It tends to get worse at night, with exercise, or after being exposed to a trigger (e.g. cigarette smoke, animal dander, or house dust). Children with asthma often have a prominent cough when they catch a cold. Some children with asthma have wheezing with no cough; some have cough with no audible wheezing; and some have both. As the airways narrow, breathing becomes faster. The child might have to work hard to breathe, as evidenced by grunting, flaring of the nostrils, or pulling in of the muscles between the ribs. The shortness of breath may exhaust the child, who becomes slow moving and talks only with difficulty. If a child with asthma has difficulty speaking or sleeping because of wheezing, cough, or shortness of breath, it is important to seek medical care immediately. Many children with asthma will have lesser symptoms as they grow older. The older children are when they start wheezing, the more likely they are to wheeze as adults8. 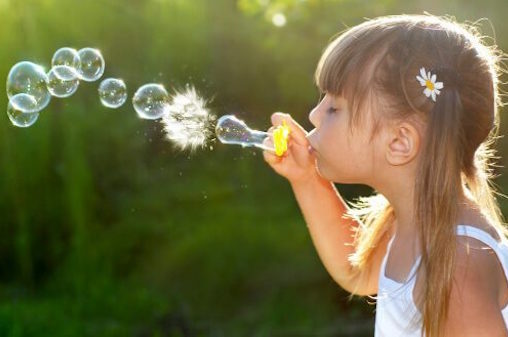 According to a study published in the January 2002 issue of the American Journal of Respiratory and Critical Care Medicine, wheezing in children before their second birthdays does not appear to make them any more likely than others to have asthma as adults – even among children who are at high risk for asthma and allergies9. In this study, children with a strong family history of asthma and/or hay fever were followed from birth to age 22. Most children who wheezed as toddlers outgrew it before age 11 and children less than age 2 who started wheezing are no more likely to develop asthma than those who did not wheeze. However, wheezing that started after age 2 have a higher chance of wheezing into adulthood. Sometimes it is diagnosed based on the history and physical exam. Recurrent episodes of coughing or wheezing are suggestive, especially if they follow exposure to asthma triggers and respond to asthma medications. Pulmonary function testing can confirm the diagnosis and monitor asthma severity in severe forms of asthma. We know what to do, but we are not doing it! Asthma is a chronic inflammatory disease of the lungs. Inflammation can cause ongoing damage. Albuterol helps children breathe better for a short period, but does nothing to treat the inflammation and is not a long-term controller medication. The guidelines for treatment are clear: kids with asthma who have symptoms more than twice a week or nighttime wheezing more than once or twice a month benefit greatly from using a preventive, anti-inflammatory medicine rather than using albuterol alone. Certainly, someone who uses albuterol daily should be on a preventive medicine in addition to the albuterol. Preventive and anti-inflammatory medicines are greatly underused. If your child has asthma, ask that the National Asthma Education and Prevention Program (NAEPP) guidelines be followed. Preventing inflammation prevents damage to the lungs and can greatly improve the long-term outcome. Breastfeeding seems to decrease the rate of wheezing in young children, but may or may not prevent eventual asthma (Eur Respir J. 2012 Jan;39(1):81-9). For older children, following a Mediterranean diet, or at least eating fruits and vegetables daily may prevent developing asthma and decrease asthma attacks in those who have asthma. Many people underestimate the impact of nasal allergies, or allergic rhinitis. While only about 10 to 40 percent of those with allergies go on to develop asthma (as compared to 1 percent in the general population), over 80 percent of people with asthma develop allergies first or at the same time. These allergies may be seasonal (pollen allergies) or year-round (dust allergies). This has led to the World Health Organization (WHO) Initiative on Allergic Rhinitis and its Impact on Asthma (ARIA) (http://www.whiar.org/docs/ARIA-Report-2008.pdf). They are trying to get the word out that properly treating allergies from the very beginning can be very effective at preventing asthma. Don’t settle for just treating the symptoms! For those children who already have asthma — it is not be too late. Properly treating the nasal allergies might still have a big impact on the course of their asthma. Again, if your child has asthma, ask that the National Asthma Education and Prevention Program (NAEPP) guidelines be followed, including the implementation of an “Asthma Action Plan” to help control the disease between attacks. Preventing inflammation may prevent future asthma for your child. Savenije OE, Mahachie John JM, Granell R, et al. Association of IL33-IL-1 receptor-like 1 (IL1RL1) pathway polymorphisms with wheezing phenotypes and asthma in childhood. J Allergy Clin Immunol (2014) 134;170-7. Miller RL, Peden DB. Environmental impacts on immune responses in atopy and asthma. J Allergy Clin Immunol (2014) 134;1001-8. Carroll KN, Hartert TV. The impact of respiratory viral infection on wheezing illnesses and asthma exacerbation. Immunol Allergy Clin North Am (2008) 28(3):539. Beuther DA, Sutherland ER. Overweight, obesity and incident asthma: a meta-analysis of prospective epidemiologic studies. Am J Respir Crit Care Med (2007) 175(7):661. Sporik R, Holgate ST, Platts-Mills TA et al. Exposure to house-dust mite allergen (Der p I) and the development of asthma in childhood. A prospective study. N Engl J Med (1990) 323(8):502. Rhodes HL, Thomas P, Sporik R et al. A birth cohort study of subjects at risk of atopy. Twenty-two-year follow-up of wheeze and atopic status. Am J Respir Crit Care Med (2002) 165:176-180.